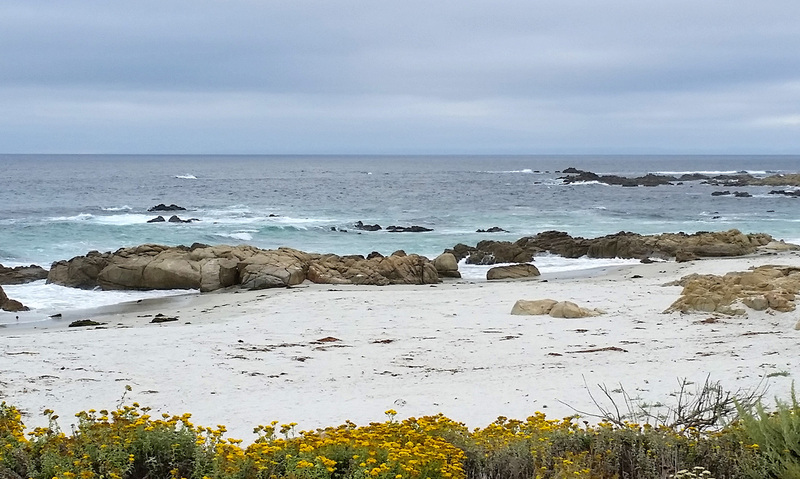 Planning a vacation to Monterey? 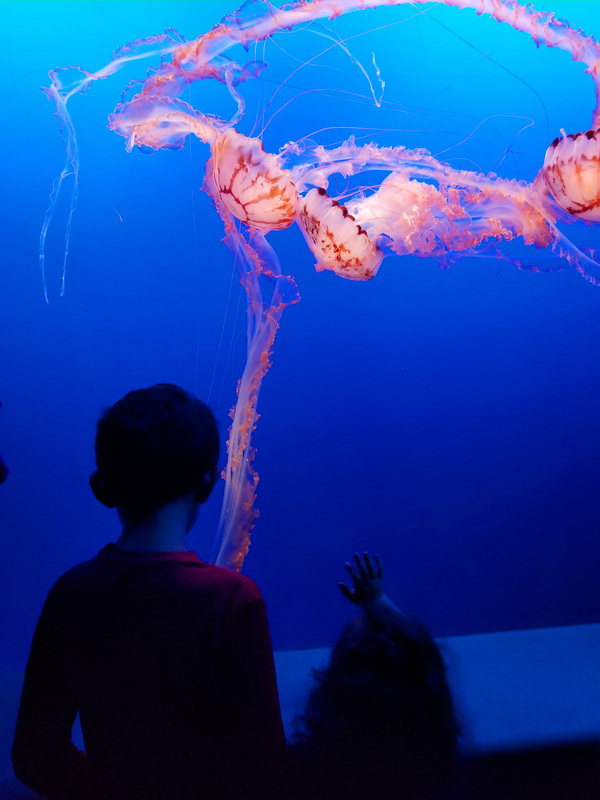 Check out these Family Friendly Things to do in Monterey, California. 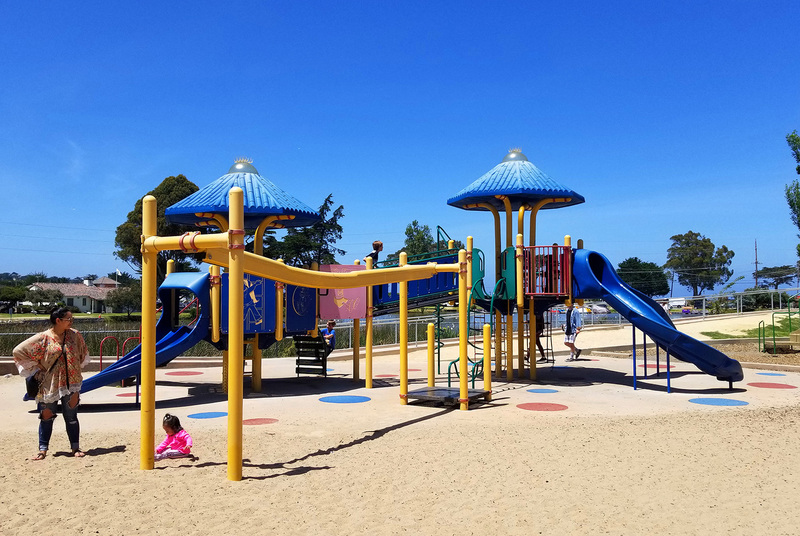 Monterey is the perfect destination for your next family vacation! Today we have a special guest writer – my sister, Kari! 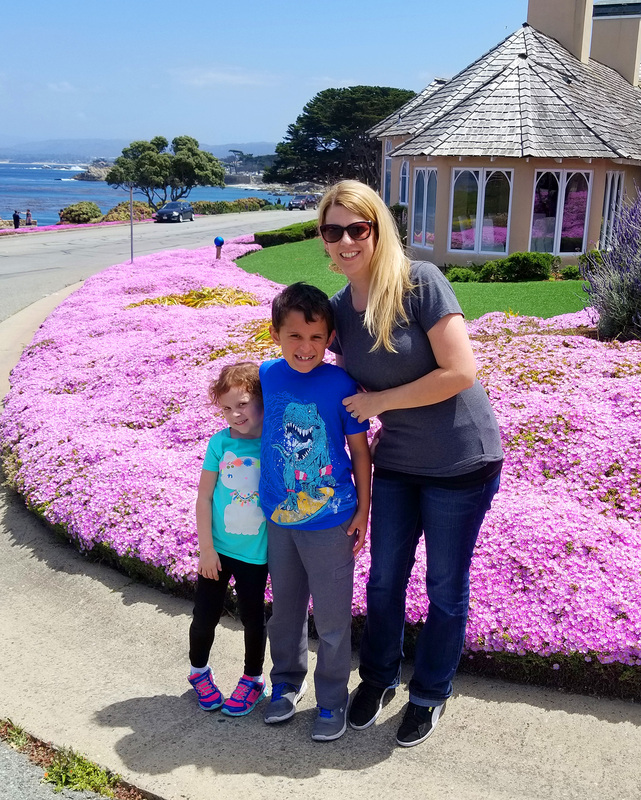 Kari and her family visit the Monterey Bay area each year with their family, so when I decided that I wanted to add a few more travel posts to the site, I knew just where to turn for this one! Without further ado, welcome, Kari! 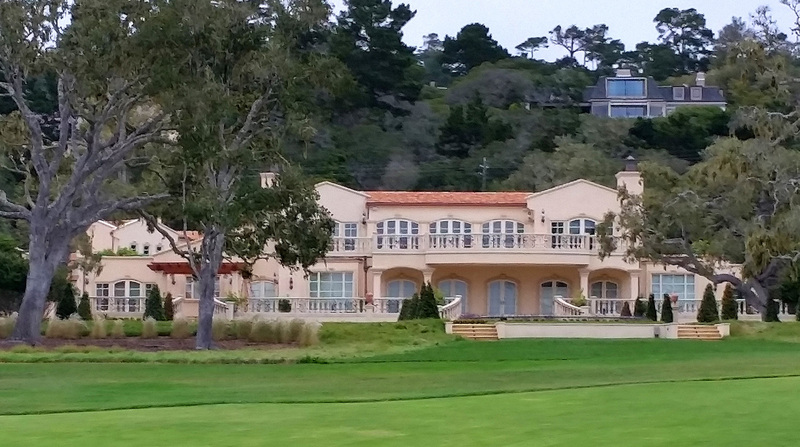 It has become an annual tradition of ours to take a family vacation to Monterey, California. 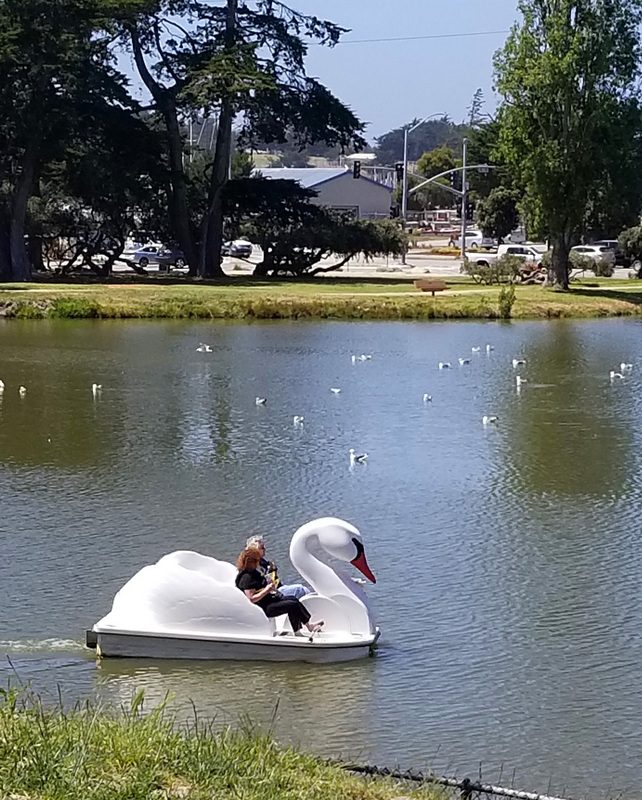 This relaxed seaside escape along the Pacific Coastline is more than just a visit to the Aquarium, which Monterey is so famously known for. There is so much extra to do and see here! Our stay is typically around 4 days since it takes us around 3 ½ hours of driving from Sacramento to reach our destination. During these four days, our itinerary is filled with fun activities that our entire family can enjoy! After a long ride in the car, the kids are anxious to get out and stretch their legs. So our first stop always includes Dennis the Menace Park, a giant playground designed by comics creator Hank Ketcham. 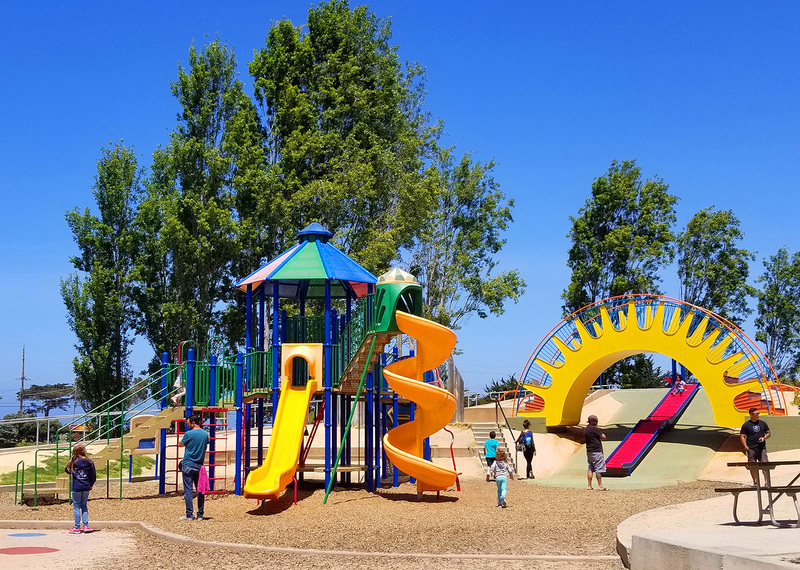 For our kids, ages 5 and 7, this is playground heaven! 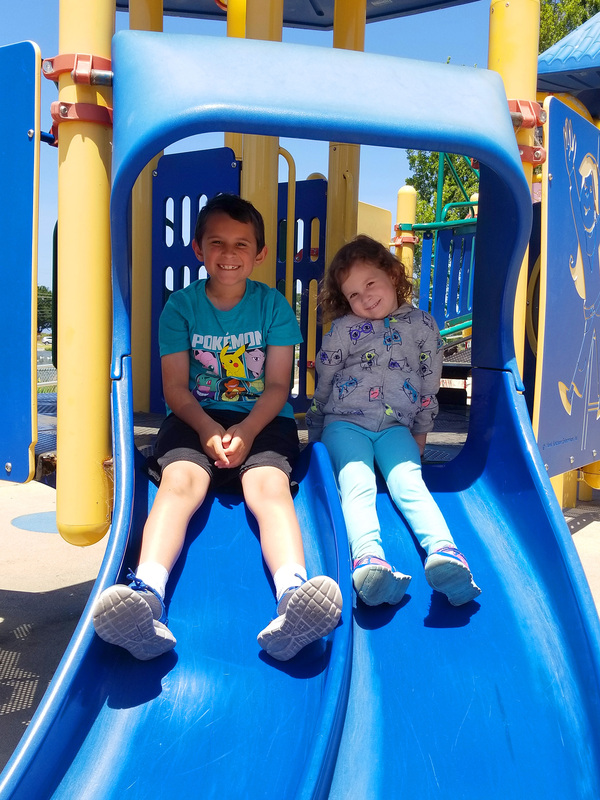 For no-cost, they can easily spend hours on a variety of play structures and slides, running through cement tunnels or the labyrinth maze, swinging on swings, crossing bridges, climbing rock walls, and more. I also love that they have clean bathrooms conveniently located at the entrance/exit of the park. And did I mention that this is FREE? Bring a lunch and let your kids run wild! Got older kids who have outgrown twisty slides and swings? 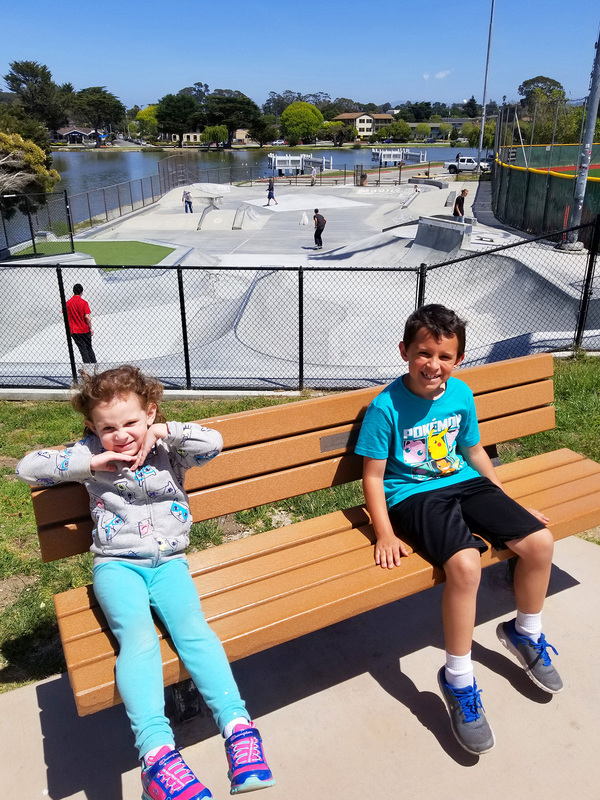 Right next door to Dennis the Menace Park is El Estero Skate Park that is open daily from 9 am – dusk. Newly renovated in 2016, this is a great place to bring your skateboarder and in-line skater. Although my kids are too little to partake in these activities just yet, we do enjoy sitting behind the fence and watching all the fancy tricks and sometimes spills! 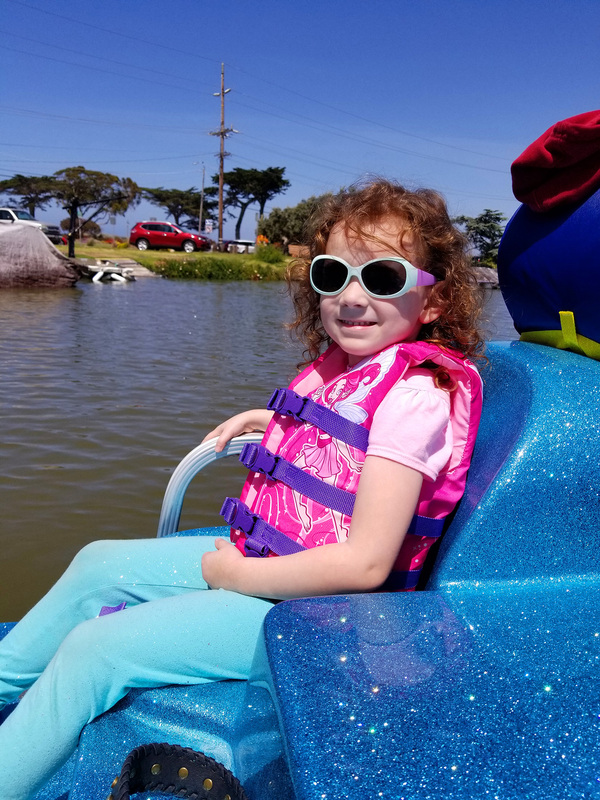 An all-time favorite activity of ours is the paddle boats, located across the lake from Dennis the Menace Park at El Estero Boating. Depending on the time of year you visit, you can find boat rentals available starting around $23. Each boat can seat up to 4 people and life jackets are provided for all. It’s great to cruise around the lake, checking out the wildlife, and enjoying the scenery! Make sure to wear your sunscreen or bring a hat, since it can get toasty on the water under the sun. If you have smaller children that love to run around, play pretend, and do arts and crafts, you must visit MY Museum. This was the perfect place for us to play indoors when it was a bit drizzly out. 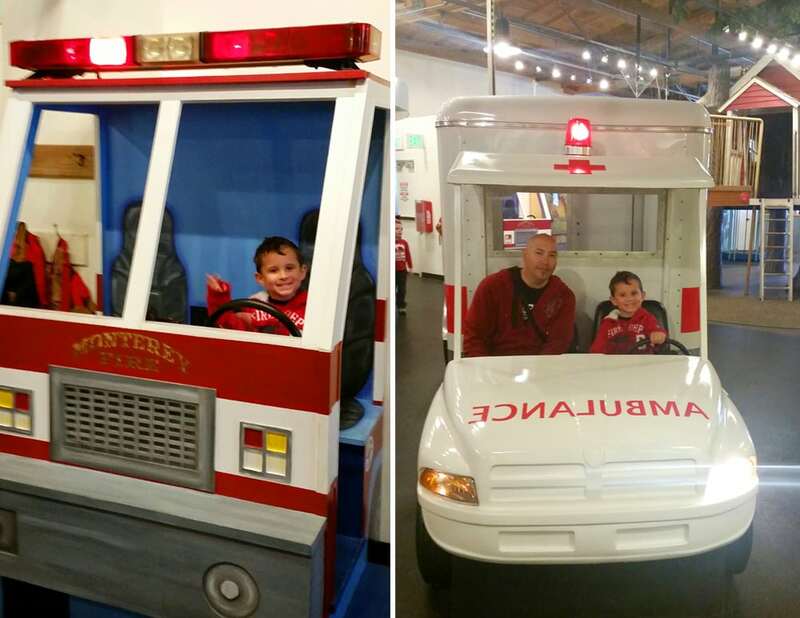 This hands-on museum includes an indoor tree house, golf, puppets, theater, pretend farm and fire station, and creation station perfect for keeping little hands busy. Adults and children are $8 and kids under 24 months are FREE. Within walking distance from our hotel of choice (the Portola Hotel – which gives you warm, fresh baked cookies upon check-in! ), is the Old Fisherman’s Wharf. 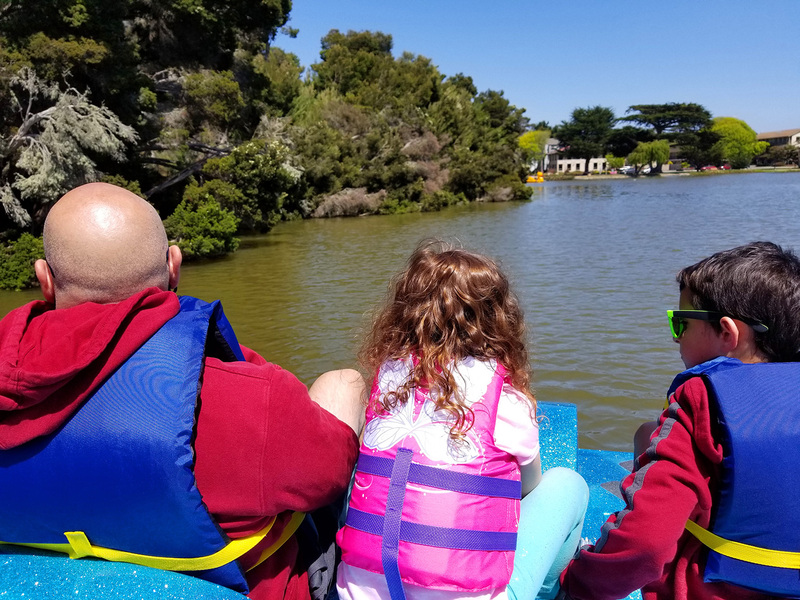 This family-friendly outing is full of places to shop, dine, and offers sailboat or whale watching tours. As you walk down the Pier, restaurants offer tastings of clam chowder and free appetizers. 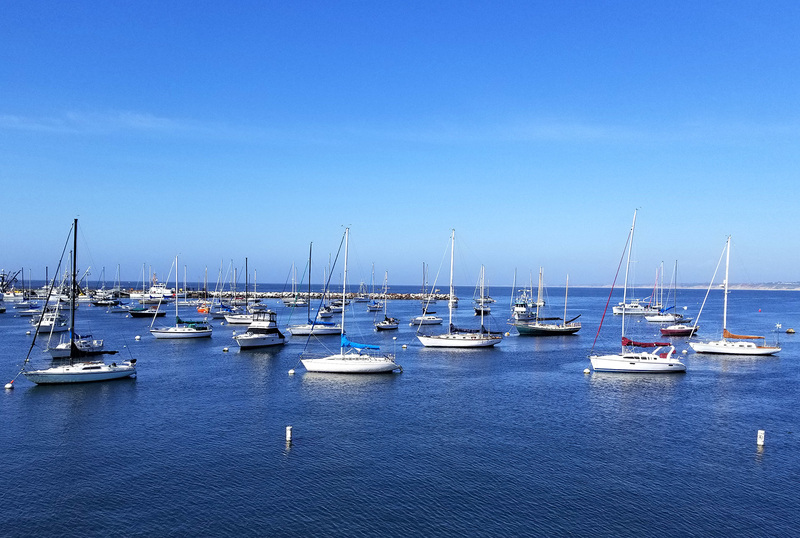 Choose a restaurant on the water and ask the host for a window seat where you can enjoy your meal and watch the sea lions play in the harbor below. 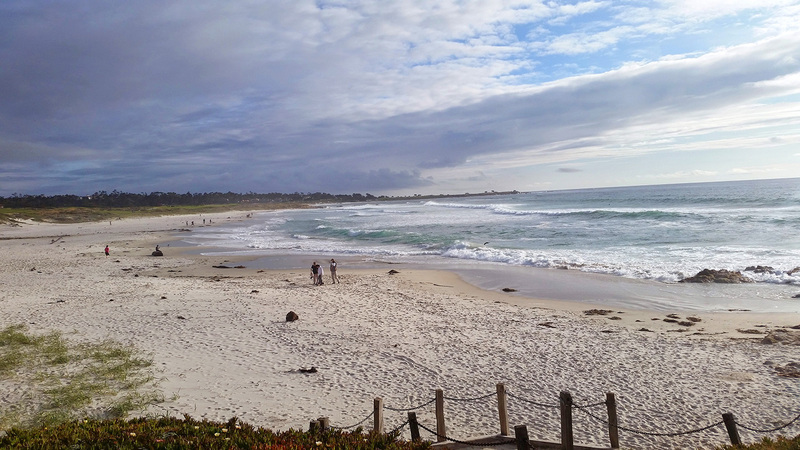 Monterey Peninsula offers some breath-taking beaches! Just take a drive along Ocean View Boulevard (the street name says it all!). Along this drive is Lovers Point which is a beautiful place for a family picnic and outdoor activities like bike riding, kayaking, and fishing. In springtime, you’ll be enchanted by the purple Iceplant that blankets the coastline and makes for a gorgeous photo backdrop! 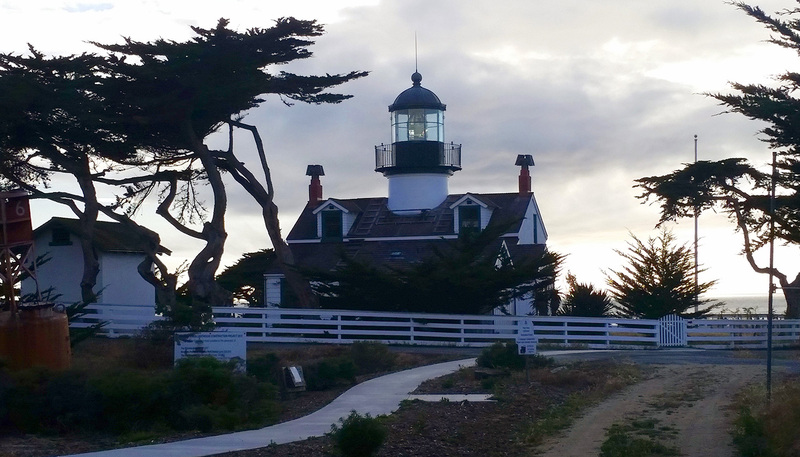 Continuing down Ocean View Boulevard, you can’t miss the Point Pinos Lighthouse. It is the oldest operating lighthouse on the West Coast (who knew?!) and makes for some pretty amazing pictures at sundown! There’s no cost to enter the lighthouse, which is open Thurs-Mon from 1-4 pm, however, they do happily accept donations. 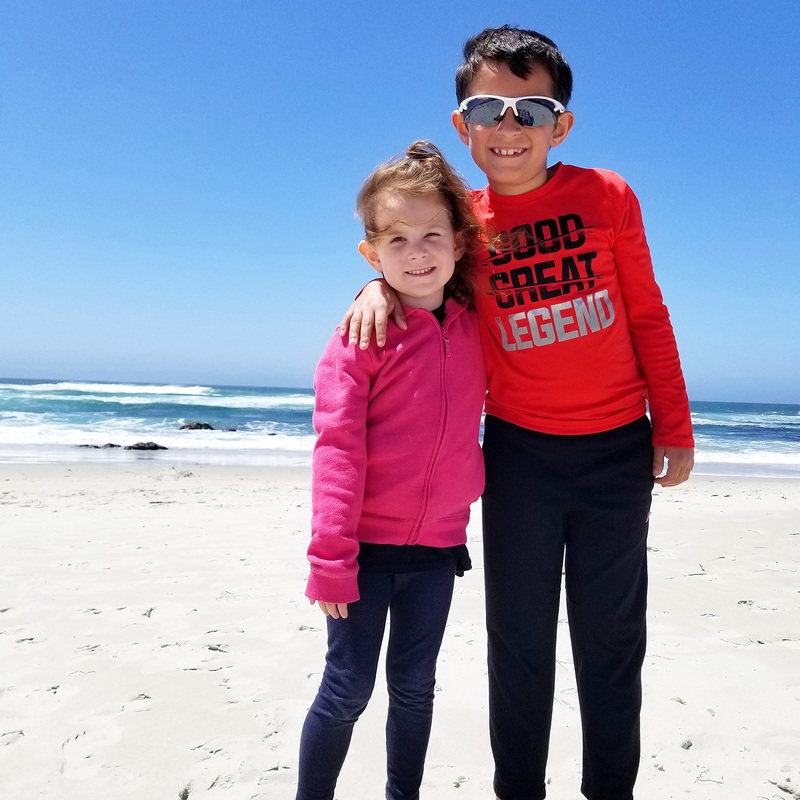 After passing by the lighthouse and cruising up the coast, we typically make a beach stop at Asilomar State Beach in Pacific Grove. The white sand beach is perfect for a day of fun in the sun. 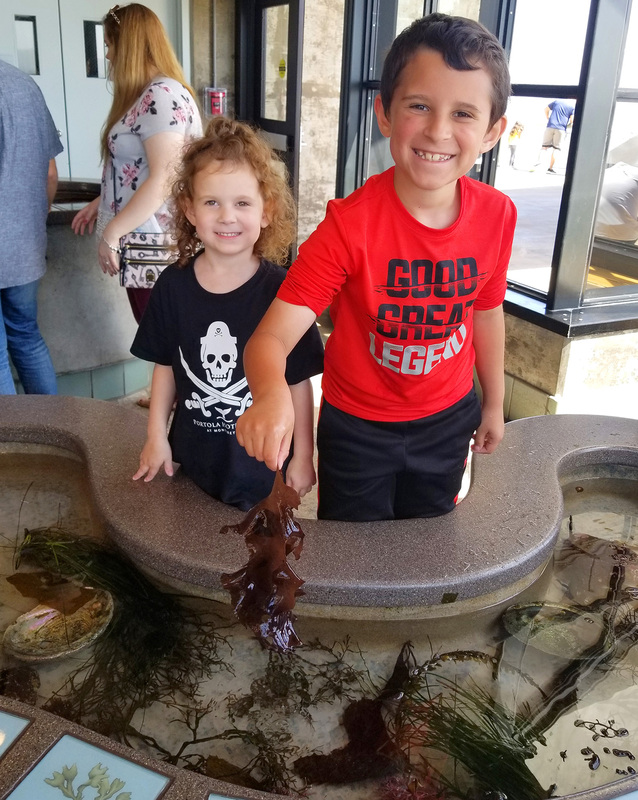 Here, we will spend time digging and making sand castles, putting our feet in the tide, collecting shells, and climbing rocks where we usually find an array of tide pool creatures. 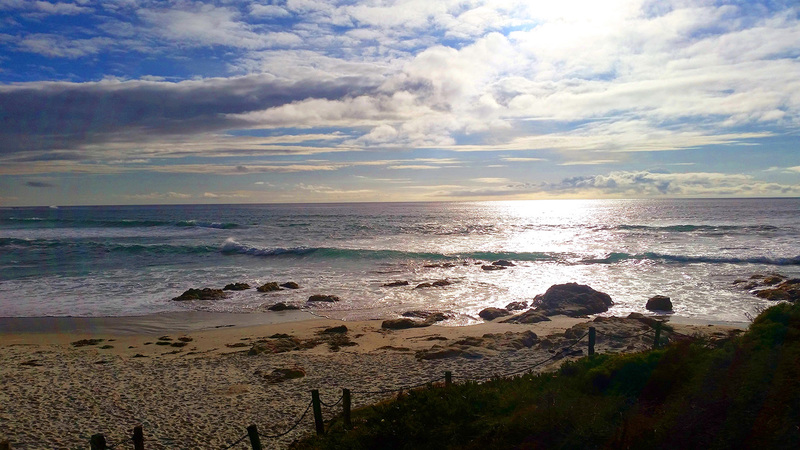 17-Mile Drive may just be the best $10.25 you might ever spend! Instead of “follow the yellow brick road”….you’ll be chanting “follow the red-dotted line!” This map-tour takes you through iconic locations along the coast, so get your Insta-Story ready for action! Some of our favorite stops along the way include Seal Rock Picnic Area, Point Joe (my husband’s favorite because they share the same name! 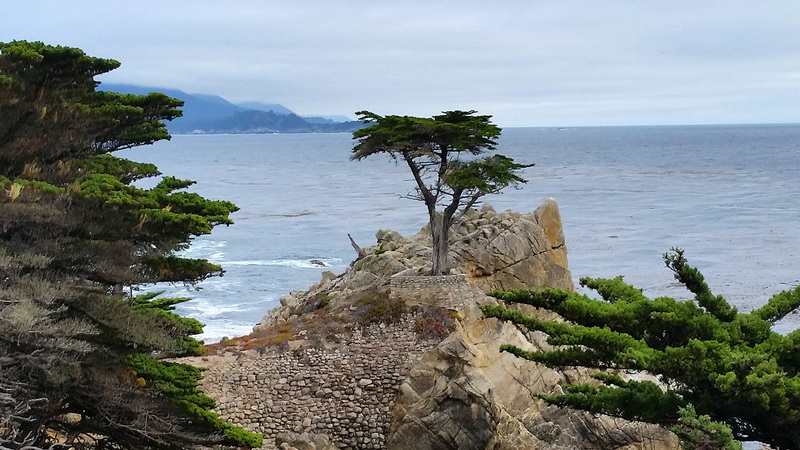 ), the Lone Cypress, Ghost Tree, and the Pebble Beach Lodge where we day-dream while cruising by multi-million dollar mansions on the coast. Pack your picnic goodies and begin your adventure. I promise you will not be disappointed! 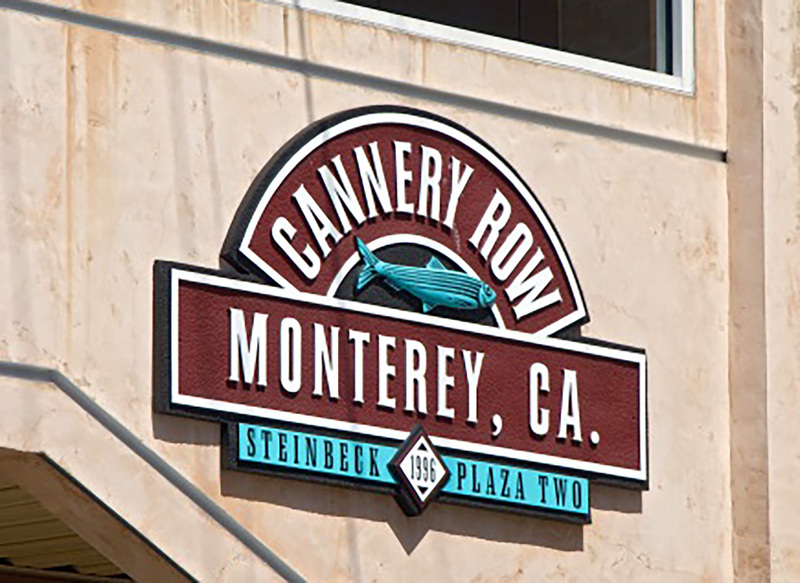 One of our last stops in Monterey is Cannery Row. 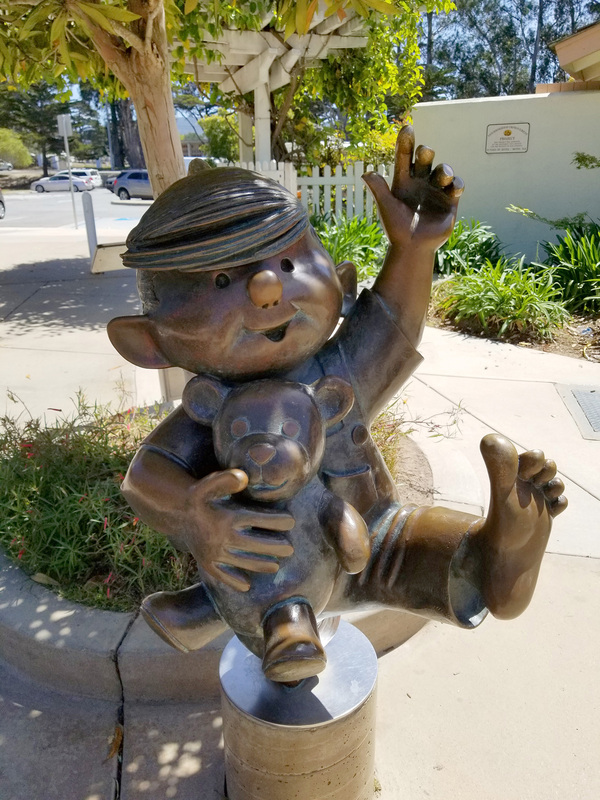 This street captures the culture and history of Monterey and includes a variety of things to do. 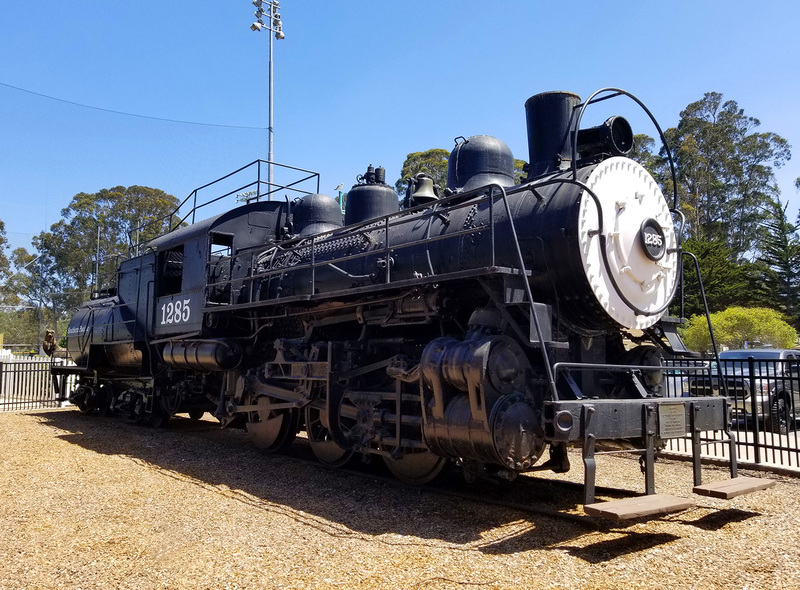 Learn about Monterey’s canning industry as you walk past historic structures, enjoy an old-fashioned ice cream cone from Ghirardelli’s while window shopping quirky stores. You’ll also find here the very first Bubba Gump Shrimp Co.
I’d have to say that the Monterey Bay Aquarium is the grand finale of our trip! 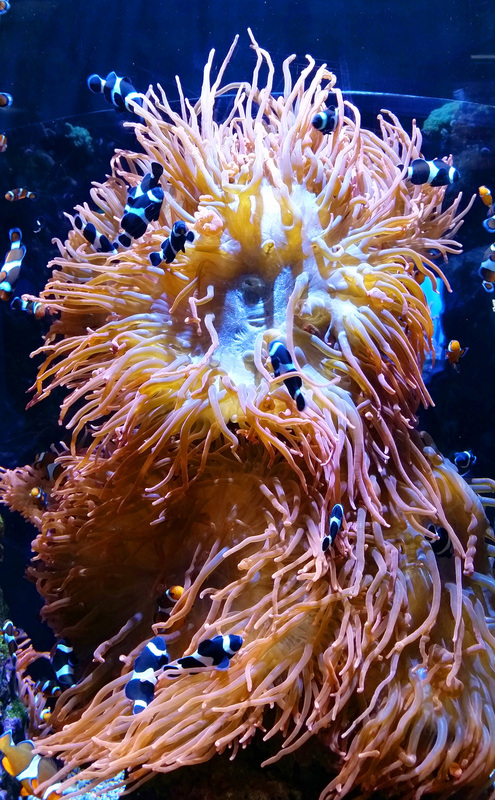 Please do not pass up an opportunity to visit the Aquarium as it is by far the best place to take your family to in Monterey! If you can attend on a weekday, I’d opt for that. 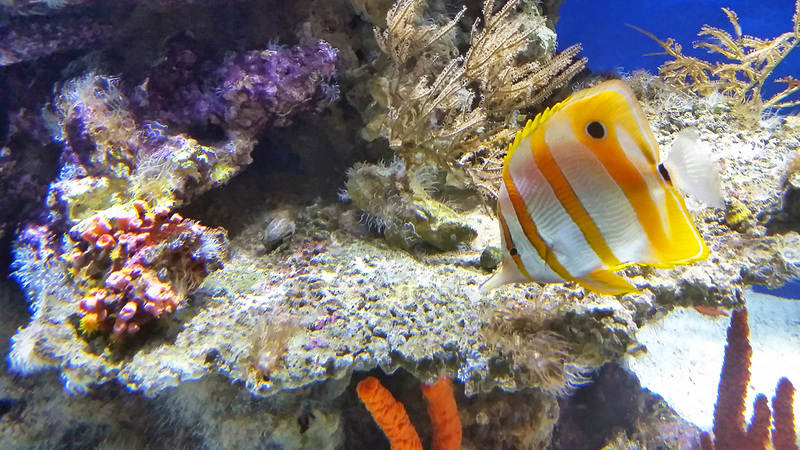 Though weekends are the busiest time to visit, if you go early, you can make it through each exhibit fairly easy before the lunchtime crowds settle in. 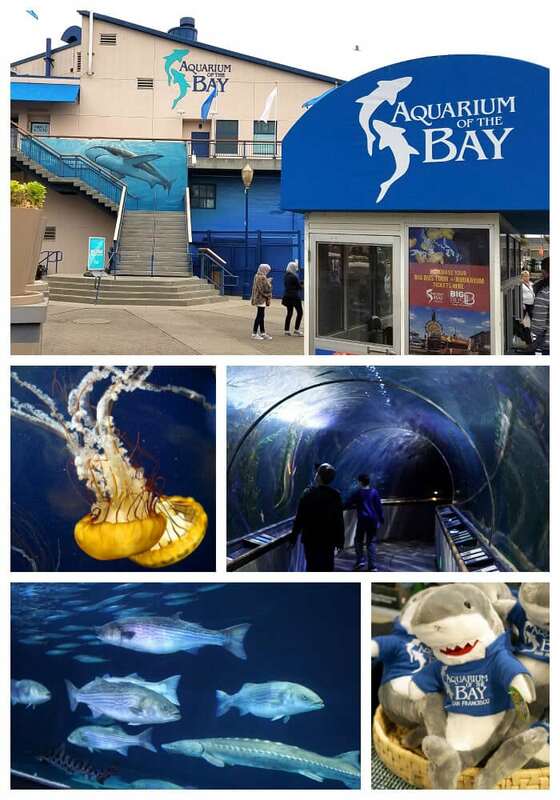 From daily shows to sea otter and penguin feedings, to mesmerizing jellyfish and sea life, to touch pools and play areas. You can spend an entire day in this place! Using our AAA membership, we are able to purchase discounted tickets, so I recommend looking into those options since this activity for us is always the most costly, but well worth it. 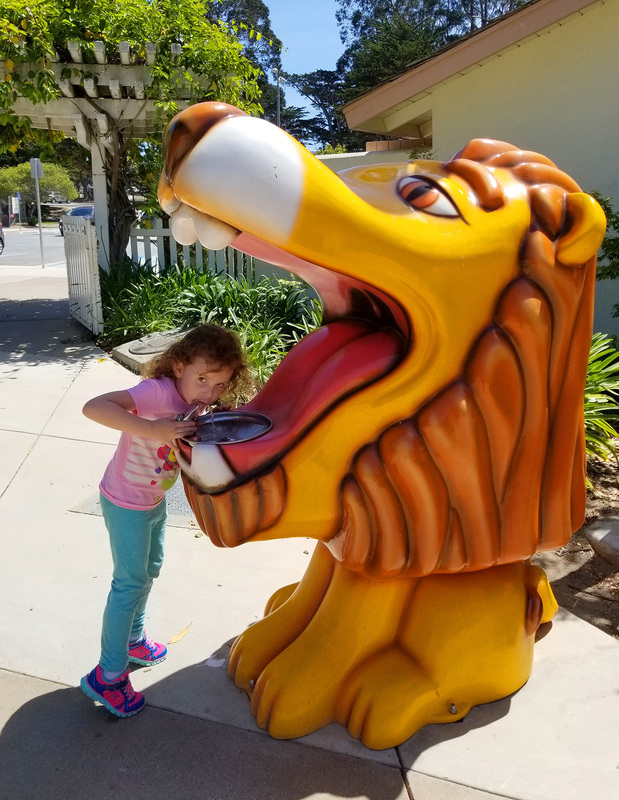 With so many fun things to do across all age groups, it is no wonder we are drawn back to Monterey every year. 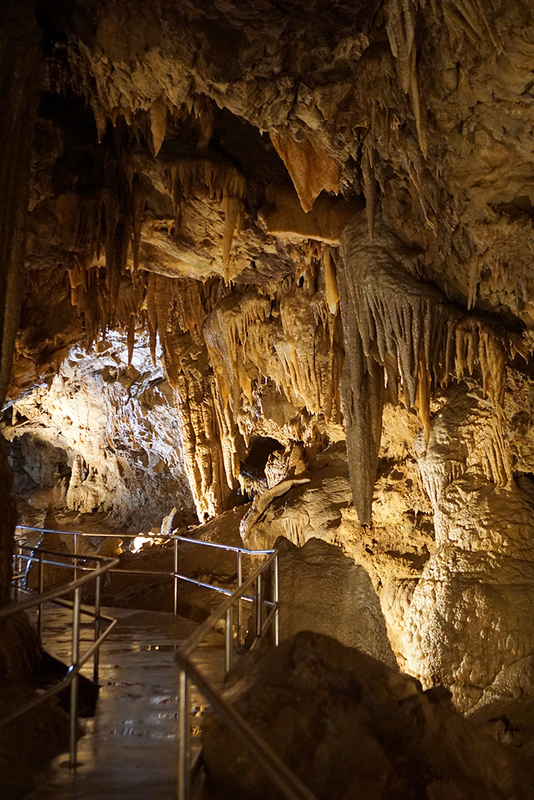 Each time we visit, we come across new things to experience that we add to our itinerary list. It is truly a special place for us! 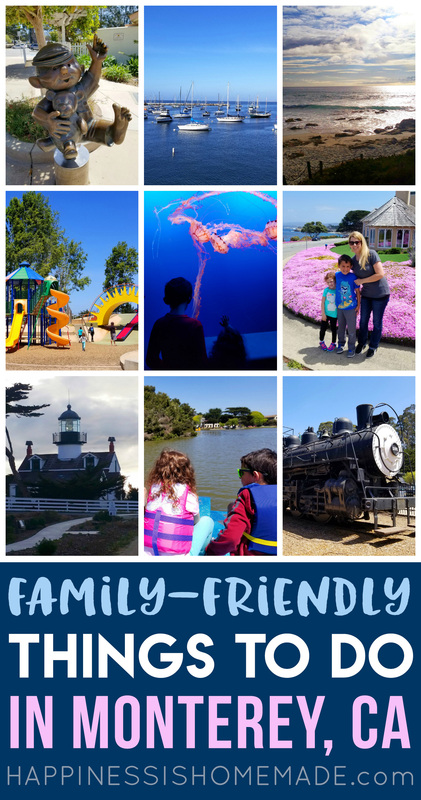 Pin these Monterey Family Travel Ideas for Later!